It's difficult to balance the lack of negative scientific evidence against consumers' right to know what's in their food. A couple of decades make quite a difference in the way we live, work and eat. Just look around. A few years back, texting a colleague instead of calling didn't exist, websites and email were only catching on and you probably called a travel agent to book your vacation. Today, your smartphone not only may book your flight, it could be used as your boarding pass. Also today, estimates say 80 percent of the food produced and consumed in the U.S. comes from genetically modified organisms (GMOs). The major crops in the U.S. and increasingly around the globe – soybeans, sugar beets, corn, rice, cotton and canola – are genetically engineered, and they affect most foods as ingredients, sugars and oils. From our breakfast cereals to our beverages, the seeds of grains we live on have been genetically altered, most beginning in 1996. The seeds have had DNA spliced into them to give them one or more qualities they didn't have before, among them resistance to herbicides and insects and, of course, more abundant yields. GMO crops enter our food supply primarily as highly processed ingredients, such as high-fructose corn syrup, oil made from corn and soybeans and sugar from sugar beets. Most researchers say they are identical to ingredients made from non-engineered crops. Biotech Crop Countries and Mega-Countries. The modified crops are not just state of the art, they are also the current state in the U.S. and are expanding globally. In insect-resistant crops, Bt corn (containing the gene from the soil bacterium Bacillus thuringiensis) grew from 8 percent of acreage in 1997 to 67 percent in 2012. Plantings of Bt cotton expanded more rapidly, from 15 percent of U.S. cotton acreage in 1997 to 77 percent in 2012. These increases include the "stacked" versions of cotton and corn, which have both traits. While the benefits to American farmers are huge, and the resulting lower costs to food processors also are significant, genetically improved crops also helping to feed more of the world, to improve the livelihoods of farmers in poorer countries and even to maintain the ecological balance. The International Service for the Acquisition of Agri-Biotech Applications (ISAAA) is an international nonprofit organization headed by Dr. Clive James. It has an awkward name, but a lofty goal. "Of the many strategies that have been forwarded to address the issues of global poverty and environmental degradation, crop biotechnology is seen as a viable contribution to the solution," ISAAA says in its mission statement. "The organization shares information to achieve agricultural sustainability worldwide and is dedicated to the 800 million people who suffer from hunger and poverty." ISAAA reports that 2012 saw a 100-fold increase in biotech crop hectarage (a hectare is equivalent to 2.471 acres) from 1.7 million in 1996 to 170 million hectares. It says the reason is simple: Biotech crops deliver substantial, and sustainable, socio-economic and environmental benefits. Over 17 million farmers benefit from biotech crops, it says. In 2012, a record 17.3 million farmers, up 600,000 from the year before, grew biotech crops all over the world, according to ISAAA. Notably, more than 90 percent were small, resource-poor farmers in developing countries. Farmers are masters of risk aversion, and in 2012, 7.2 million small farmers in China and another 7.2 million small farmers in India collectively planted a record 15.0 million hectares of biotech crops. Bt cotton increased the income of farmers significantly by up to $250 per hectare and also halved the number of insecticide sprays, thus reducing farmer exposure to pesticides, the ISAAA said. Are there dangers in GMOs? It would seem that an explosion of more crops with more benefits would be soundly applauded, but these advances through science are being called into question by several groups. They say the ingredients and foods haven't been tested enough. Organizations in some states are lobbying for a label to be placed on all foods from GMO products. Last November in California, Proposition 37, which called for labeling foods containing GMO ingredients, was defeated by a 52-48 percent margin. In the state of Washington, a similar bill, Legislative Initiative 522, will be on the ballot this fall. Several other states have local organizations working on label laws and a small handful even have legislative bill numbers assigned, but no other state has a proposal earmarked for a vote, although Oregon and Vermont are close. Opponents say GMOs may carry health risks, and they also are pounding the labeling efforts as a freedom issue, rallying that consumers have a "right to know" what they are consuming. GMO opponents say they lost on the California ballot, despite celebrity videos endorsing their cause, because they were outspent by agribusiness concerns. Human Health Risks – The organization connects GMOs and the chemicals they are sprayed with to food allergies, irritable bowels, organ damage, even cancer. Environmental Risks -- With GMO crops engineered to tolerate more herbicides, "the weeds that these herbicides used to kill are coming back bigger and stronger, creating herbicide-resistant ‘superweeds.' "
Unfair Pressure to Farmers in Developing Countries. The Risk to Organic Farmers – because of contamination from nearby GMO crops. GMO Inside is led by Green America and is a coalition of businesses, organizations and individuals that support a GMO-free food system. "Large agribusiness and chemical companies oppose our right to know when foods have GMO," says Elizabeth O'Connell, campaigns director for Green America. "These are the same companies that put GMOs out on the market without adequate testing – turning us all into lab rats in a giant science experiment." Lots of emotion, certainly, but just four bullet points. Perhaps the biggest issue, the one most convincing to mothers and other concerned shoppers, is that this is very complex science; there are just too many unknowns. The food community says this just doesn't hold true. Bruce Chassy, a professor emeritus of food science and human nutrition at the University of Illinois, says after thousands of research studies and worldwide planting, "genetically modified foods pose no special risks to consumers or the environment" and are overregulated. Farmers have witnessed the advantages of GM crops firsthand through increases in their yields and profit, and decreases in their labor, energy consumption, pesticide use and greenhouse gas emissions, Chassy says. He points out that people calling for a more natural world haven't keep up with their history. He says changes to our lifestyle began about 10,000 years ago, when humans moved to an agricultural society. Since then, man has changed his environment to make his life better. "Over the millennia, agriculturalists domesticated crops and animals to suit the needs of improved production, resistance to diseases and pests and to serve human preferences," Chassy says. "In the process of domestication of crop plants, desirable traits were selected from the numerous random genetic modifications that occur in each crop generation. This domestication led to improved crops from a human perspective. Most of today's crops never existed in the wild and can, in fact, no longer survive without human intervention and care. Our crops descended from ancestors that are not recognizably similar to the plants we grow today." Advances in science always have and always will be scary to some. People also often feel that governments and corporations are taking too big of a role in their lives. If you want to get a man of science excited, let him tell you about how science could be saving millions of lives. Bruce Chassy, a professor emeritus of food science and human nutrition at the University of Illinois, believes Golden Rice can help save the children of the world. Crops have been modified ever since humans started growing them, he said. You breed one strain of corn with a different strain to make a new strain. Science, he says, has speeded up the process with splicing DNA to create better crops. The genetically modified Golden Rice is a white rice crop modified by the insertion of a gene that allows the rice to produce beta-carotene, a precursor of vitamin A. This changes the color to yellow, but the taste and mouthfeel are much the same. But, since Golden Rice is altered by the insertion of genes in the laboratory rather than traditional breeding, required safety testing has held back the introduction of the product. "There's no doubt that Golden Rice could have saved millions of lives -- 10 million is a reasonable estimate -- since it was developed," Chassy says. "Studies in humans show that the beta-carotene in GR is well absorbed and that it is converted to vitamin A. One bowl of Golden Rice per day can eliminate vitamin A deficiency. Opposition from well-financed professional scaremongers and nay-sayers coupled with needlessly restrictive regulations have blocked the introduction of GR at a great cost in lives." Science and modern farming are doing their jobs, he says. And it is time to get out of their way. U.S. government agencies USDA, FDA and EPA say GMOs pose no risks or hazards and are not calling for labeling. The FDA says, "We recognize and appreciate the strong interest that many consumers have in knowing whether a food was produced using bioengineering. FDA supports voluntary labeling that provides consumers with this information and has issued draft guidance to industry regarding such labeling." But not mandatory labeling. How else to feed the world? Most involved in feeding the world see labeling as an unnecessary issue. "The Grocery Manufacturers Association and its member companies are committed to providing consumers with safe, healthy and affordable food," says Brian Kennedy, director of communications. "We oppose special mandatory labeling for food products containing genetically modified ingredients because these labels could mislead consumers into believing that foods produced through modern biotechnology are somehow different or present a special risk or a potential risk. "The FDA and numerous of regulatory and scientific bodies, including the World Health Organization, Food & Agriculture Organization of the United Nations and the American Medical Assn., have concluded that foods and beverages that contain genetically modified ingredients are safe and they are materially no different than products that do not contain genetically modified ingredients," he continues. "Consumers looking for more information about a particular food product beyond what is listed on the food label have a number of resources available to them, including the manufacturer's website or its customer service department," he adds. "The limited space on a food label should be reserved for the critically important food safety and nutritional information that can allow consumers to make safe and healthful food choices." GMO opponents point out several nations require labeling and eight in Europe – Poland, Austria France, Germany, Hungary, Luxembourg, Greece and Bulgaria -- have banned GMO crops within their borders. "Besides raising concerns under the First Amendment and potentially encroaching on the FDA's purview, the big issue is that consumers are likely to view a government-mandated GMO label as a warning of health concerns, akin to warnings on cigarette packs," says David Ter Molen, a partner and member of the food industry team at the law firm Freeborn & Peters (and a contributor to Food Processing). He also said a labeling requirement, depending on its specific mandates, would create additional issues for food processors relating to certifications and cross-contaminations across product lines. 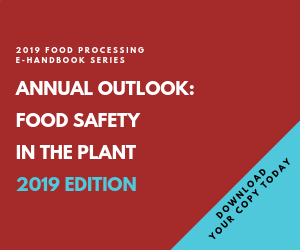 The potential impact, including possible penalties for alleged violations, could be quite significant on food producers. The National Academy of Sciences (NAS) in a 2004 report concluded that "no adverse health effects attributed to genetic engineering have been documented in the human population." The World Health Organization states, "No effects on human health have been shown as a result of the consumption of such foods by the general population in the countries where they have been approved." In 2010, a European Commission review of 50 studies on the safety of biotech crops found "no scientific evidence associating GMOs with higher risks for the environment or for food and feed safety than conventional plants and organisms." An American Medical Assn. report from its own Council on Science and Public Health concluded that "Bioengineered foods have been consumed for close to 20 years, and during that time, no overt consequences on human health have been reported and/or substantiated in the peer-reviewed literature." GMO opponents seem to suggest there is a conspiracy from government agencies and agribusiness to promote GMOs. The conspiracy label may be more properly placed on anti-GMO side, says attorney Michael Steel. "The people who favor labeling want to get a market advantage," said Steel, a partner at Morrison & Foerster, where his environmental practice emphasizes federal, state and local regulatory compliance issues. "They do that because there is so much misinformation about GMO foods. People who support GMO labeling tend to be, the biggest contingent is, organic food producers and they are always concerned about big agriculture. The other group is people who are suspicious of everything." Chassy, who was head of the Dept. of Food Science and Human Nutrition at the University of Illinois from 1989-2000, sees the GMO debates as extremely counterproductive. "This is the wrong issue at wrong time," Chassy says. "We need to get people to eat better and provide better food safety. I see GMO crops simply as newer varieties and find them unremarkable, except they are part of the art of farming. "More importantly, we have a voluntary system of labeling," Chassy said. "If you want non-GM or kosher or organic foods, it is up to those producers to label their product and incur the cost of labeling. "Right now we cannot produce enough food for people. It is, in fact, hard to imagine how we could accomplish what we need to in agriculture without biotechnology."